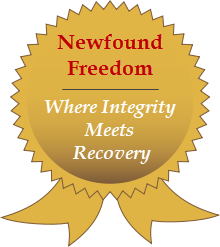 Located in Bucks County, Pennsylvania, throughout the towns of Bristol and Levittown, Newfound Freedom is comprised of a network of numerous male-only and female-only recovery residences. 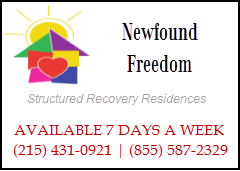 Our phase 1 locations consist of highly structured addiction recovery homes that essentially offer a very affordable alternative to residential treatment. Our phase 2 locations embody more of a sober living/transitional housing structure that is geared for those already having 6 months or more of clean/sober time. Our network of homes are all within the vicinities of safe, family-oriented upscale communities We believe strongly in the idea that those in early sobriety must surround themselves with elements that encourage a clean way of living, both inside and out. Pools, backyards, bbq’s, social events, etc. Close proximity to shopping, dining, job search possibilities, etc. As of November of 2014 we have a total of 15 locations throughout Bristol and Levittown, PA. Over time we’ll be adding maps and direction pages to each location which will also include individual photo pages through each house’s Google Plus profile.